Friday’s QuakeCon keynote included a 15-minute Doom Eternal gameplay premiere, showing off the idTech7 engine in action for the first time. As predicted after its E3 tease, this sequel will follow Doom II‘s lead from 1994 and bring the new series’ demons and terrors of Hell to Earth. The gameplay sequence confirms that Doom Eternal will further emphasize movement and explosive weaponry, and the most noticeable change comes from a new super shotgun that doubles as a grappling hook. With this weapon equipped, aim until a small skull icon turns golden in your field of view, at which point you can extend a chain and either zip yourself toward a particular demon or use its body to swing yourself in a circular motion around it. LOS ANGELES—The first Rage didn’t generate much buzz amongst fans of first-person shooters when it shipped in 2010, but one of id Software’s later titles (the 2016 Doom reboot) made a big splash. With Rage 2, publisher Bethesda is hoping that some of the post-Doom goodwill can elevate this low-profile franchise to popularity. The publisher partnered id’s FPS veterans with Avalanche Studios (Just Cause, Mad Max) to make this sequel open world. The first game had a veneer that made it look open-world, even though it was just as enclosed as Doom. 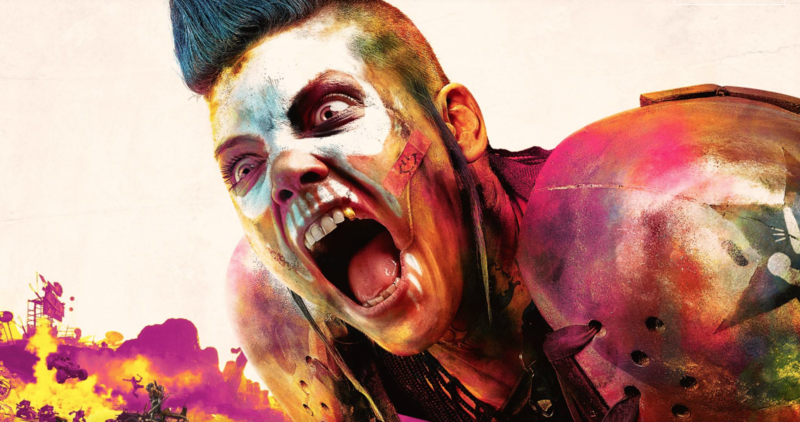 I played Rage 2 at Bethesda’s E3 booth this week, and unfortunately I can only judge the id Software side of that partnership. The demo I played was a linear, corridor-crawling action shooter experience with no open-world aspects. When I asked a Bethesda rep why that was, he told me that the company wanted Rage fans to be sure that the gunplay is still just as good even though the game is going open world. I think it’s more likely that the open-world part of the full game (which is slated to launch in spring 2019) just isn’t ready to be played yet.